Orthi Ammos beach is located 80,5km south east of Chania town, 16,5km east of Chora Sfakion and just 1km east of Frangokastello. This beautiful beach features shallow waters and huge sand dunes. The beach is not unorganised but there is a taverna and accommodation options in the vicinity. 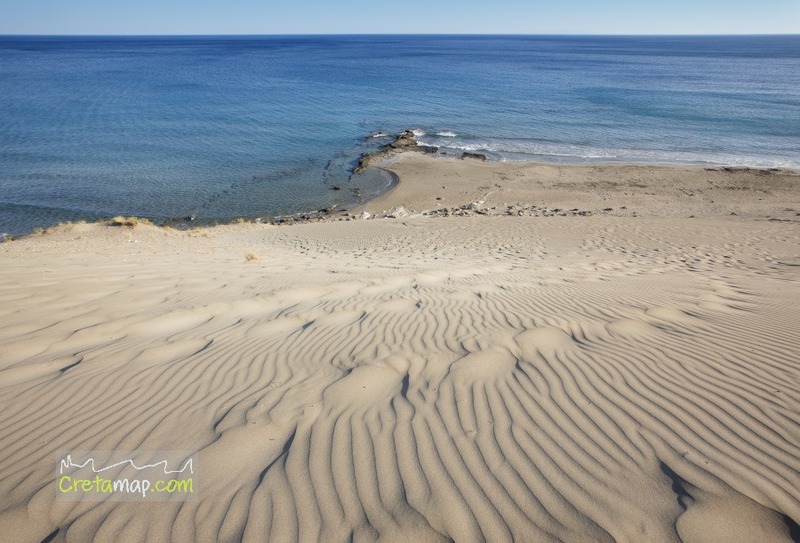 Orthi Ammos beach is relatively quiet and on its east side it becomes a naturist beach. *It is usually affected by southern winds. Orrhi Ammos is accessible with private or rented cars and motorbikes. As it is relatively close to Frangokastello, it is also accessible by public buses from Chania to Frangokastello through Chora Sfakion where you will have to change buses. You can access the beach by walking 10′ from Frangokastello or by driving 1km towards the east. There is parking space above the sand dunes. During the day the sand gets very hot and therefore closed shoes are an imperative!